Precise-machined nozzle provides high performance. 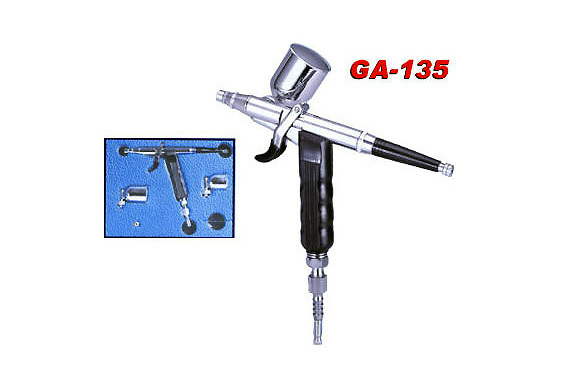 Double-action, internal mix trigger control gives smooth and free operation. Detachabble color cups can be positioned at any angle for convenience of drawing. Suitable for any art work, such as commercial art, industrial drawing, models finishing,illustration, custom designing, T-shirt painting, hobby crafts, etc. By application of dyes, inks gouaches, watercolors, dissolved acrylics,etc.